Sharpen your photo-taking and editing skills aboard Silver Cloud's voyages to Antarctica. Cruise passengers heading to the Great White Continent on Silversea's luxury expedition ship Silver Cloud can return with happy snaps to match the memories thanks to its new My Photo Academy on-board enrichment program. "Our new photography program is a perfect fit for the immersive expeditions we offer in Antarctica," said Silversea's Conrad Combrink. "Voyaging to the bottom of the Earth is a once-in-a-lifetime experience, full of magical moments which we will help our guests to capture in beautiful images they will be proud to display in their home or office." The on-board academy offers both private and group lessons, and has speciality workshops covering topics ranging from an introduction to photography to social media and editing software such as Adobe Lightroom and Photoshop. The ship's Photo Studio has equipment for both Mac and PC users, allowing passengers to edit and print their own photos. 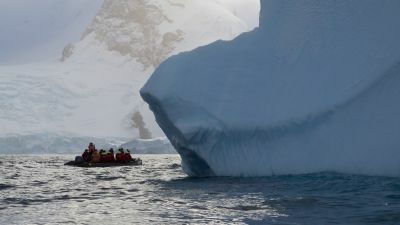 Silver Cloud accommodates 200 passengers in polar waters and has a fleet of 16 Zodiacs and 10 kayaks, along with at least 20 expedition team members on hand for lectures, workshops, excursions and guided nature walks. Silver Cloud's Antarctica expedition voyages run from November to February. For more details, go to silversea.com.